This tote is BIG - 16 inches in diameter by 15 inches deep. The bottom is stable for easy packing, has padded handles & fits comfortably over the shoulder. 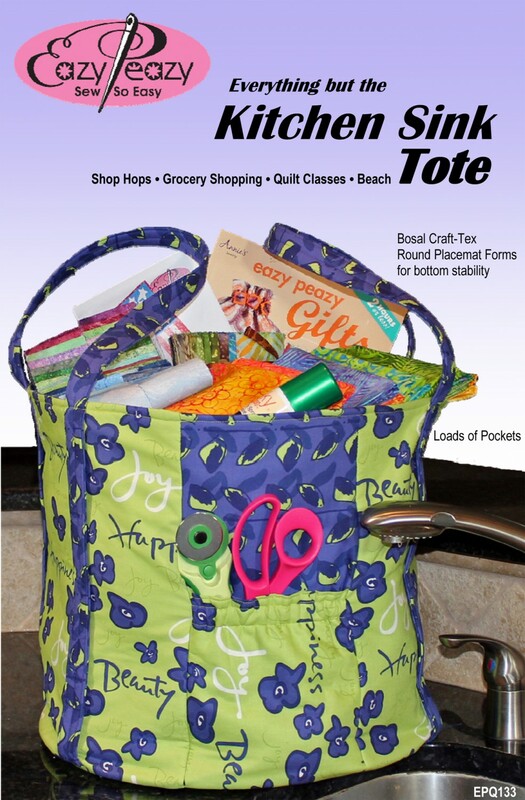 Great for carrying all the things you find at shop hops, for taking a quilt class, a quick trip to the grocery store or for family travel to the beach... it also collapses to store!